We were delighted to sponsor Little Lifers First Aid in helping to coordinate a first aid training programme for students at Orgill Primary School. Little Lifers First Aid, founded by Natalie Groggins, an adult and paediatric first aid instructor, provides children aged between four and 11 with a basic introduction to first aid through practical learning. Natalie uses The Flat Stan First Aid – an essential training programme that teaches children basic first aid using an interactive approach. Our team sponsored the interactive session that took place at Orgill Primary School, Cumbria on Thursday 28 November 2017. 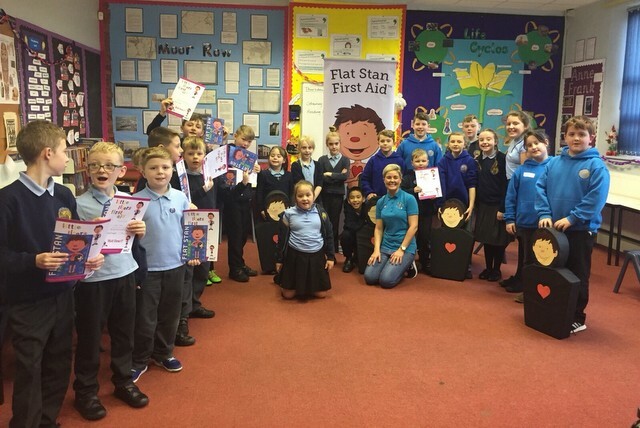 Speaking of the programme, Natalie said: “I am delighted that I could deliver Flat Stan First Aid to the students at Orgill Primary School. First aid is a vital qualification no matter what age and as such it is so important to teach children, even as young as three, these valuable skills early.